QUOTE | “The way we’re looking at Switch is this is a complementary platform. If it’s on Steam, then there’s no reason why it shouldn’t be on Nintendo Switch as well.” - Nintendo head of publisher & developer relations Damon Baker explains the mindset behind the company’s indie outreach. STAT | 80,000 - Number of Nintendo Switch consoles sold in the UK during its opening weekend. That doubled the Wii U’s total, but fell short of the 3DS launch total of 113,000 systems. STAT | 313,700 - The Switch’s opening weekend sales in Japan, slightly better than the Wii U’s 308,600, but well back of the Wii’s 371,900. Nintendo did not give numbers for the hardware’s performance in the Americas, but confirmed it sold more in its first two days on sale in those regions than any previous Nintendo system. 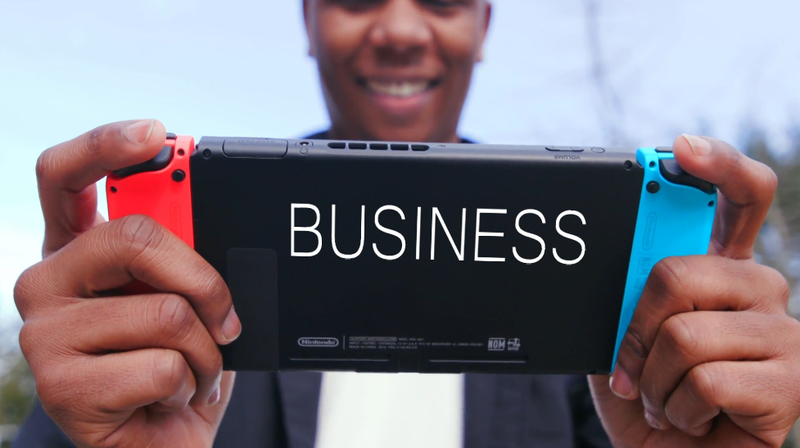 QUOTE | “We built the Nintendo Switch to be a world-class gaming device, meaning we want you first and foremost to play games on the system and have an incredibly fun experience.” - Nintendo of America president Reggie Fils-Aime explains why getting media services like Netflix and Amazon Instant Video on Switch wasn’t a priority for launch. QUOTE | “We’re in a unique position where we remember where the bodies are buried.” - Double Fine’s Tim Schafer says having access to members of the original development teams was essential for re-mastering Day of the Tentacle, Grim Fandango, and Full Throttle. QUOTE | “This notion of indie, and doing my own game, making the games I like to make - all nonsense, because that doesn’t feed you. A lot of the guys got caught up in that kind of thinking, and it’s all fine and dandy, but where is the money?” - Dhurva Interactive founder Rajesh Rao says India’s young developers need to come around on turning their dreams into a sustainable business. QUOTE | “For completely fair reasons, people are asking: ‘What exactly are they trying to do?’ ‘Why are they messing around with crowd-funding and indie development with their big size-12, publisher hobnail boots?’ ‘Why are they crushing things that are good and stealing souls?’ Our legitimacy in this area can only be borne out by proof, and that will take time.” - Phil Elliott with Square Enix’s indie publishing arm Collective understands developers’ skepticism. QUOTE | “There’s been a lot of dialogue about the idea that publishers need developers more, the idea that there’s this plethora of publishers out there, but actually there are tons of developers we hear from who need that financial support. We’re not going to be able to support them all, but happy to help some of them.” - Humble Bundle’s John Polson defends the company’s move into indie publishing, saying the demand for those services still far outstrips the supply. STAT | $22.5 million - The amount of money ZeniMax Media still owes John Carmack as a result of the 2009 acquisition of id Software, according to a lawsuit the developer filed. Last month, ZeniMax won a $500 million judgment in a lawsuit against Oculus alleging that Carmack stole ZeniMax trade secrets when he jumped to work at the VR firm. STAT | 40% - The percentage of British game developers that are considering leaving the country because of Brexit. QUOTE | “Since the Trump administration introduced its unprecedented executive order, attending US events is no longer possible and we feel that there is no good reason for this.” - SeyedMahdi Dabestani, COO of Iranian developer Bearded Bird Studio, offers his support to Unity’s Unity Without Borders plan, which will help developers affected by the US travel ban attend the Unite Europe conference in Amsterdam in June.